"I adore creating an everlasting visual story of your special day, and capture our magical memories - all the love, joy, laughter and tears - because there is so much beauty in all of these." Hi! 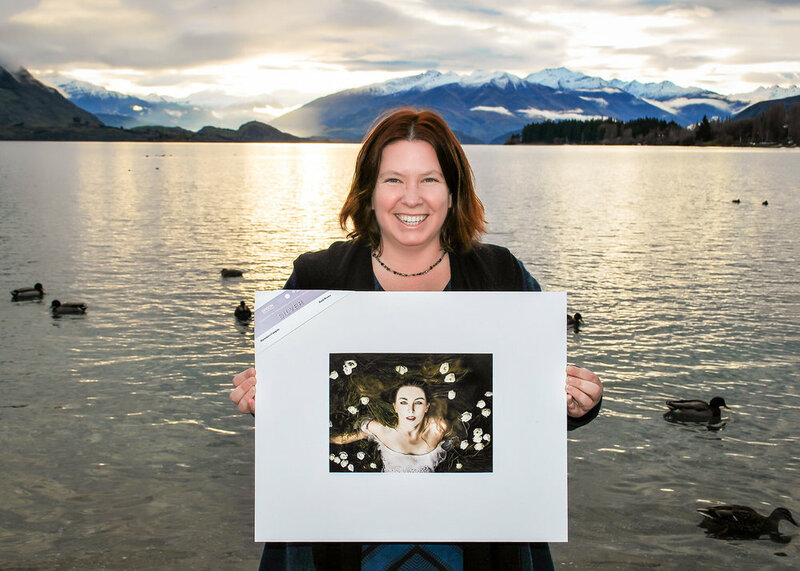 I’m Ruth and I’m a fun and relaxed wedding photographer based in the mountain town of Wanaka, but I capture weddings all over New Zealand. I live in a rustic cottage on an acre of land just outside of Wanaka with my organic gardener and chef partner Paolo along with our beloved tabby cat Dakini. My favourite things in the world are great coffee, amazing cheese and travelling in new countries, and when I’m not shooting weddings you’ll find me curled up on the sofa with the cat. I couldn’t live without books, music and home cooking. I spend a lot of time planning future adventures and nothing makes me happier than spending a couple of days hiking and camping here in the awesome landscape of New Zealand. My love of art is what got me into photography. I adore photographing epic landscapes & am rather obsessed by clouds, but I also love photographing people & doing creative collaborations with other like-minded individuals. I’ve been a wedding photographer for 11 years and I absolutely love it. The best thing about being a wedding photographer is that I get to spend time with people having a great time and with couples in love. My couples just want good photography, and the last thing they want is a photographer who makes them pose all day and takes over their wedding day. My wedding photography style is vibrant and happy. I capture all the beautiful and joyful moments, and let you get on with having a fantastic wedding. For me my favourite bit about a wedding day is the portrait session, because it’s a chance for you to have a breather and for me to be creative. Your wedding is all about having a wonderful time with your favourite people. You don’t care about formalities or worrying about the little things that don’t matter – you just want to have an amazing time with your friends and family. If this sounds like you and you’d love a photographer who could easily be one of your guests, then get in touch to chat more about your wedding! // I’m English born but both my parents are Scottish. // My comfort food is mashed potato. // I love to get things in the mail, and a daily ritual is to go to our letterbox to see if anything is there. // I will always stop to greet a cat. // I am usually lucky winning prizes with paper raffle tickets, but useless with online entries to date. // Spiderman was my first ever hero and I collected comics for years. // I did my Art 'O' level at age 13 – three years younger than usual. Since I spent so much time around the art rooms, my teacher decided to enter me as an experiment. I got an A! // My favourite book & movies are either Science Fiction or Mythological. // I still find it hard not to get too emotional, and cry at every wedding! I have a wee obsession about clouds!